Comfortable living room with an open concept. 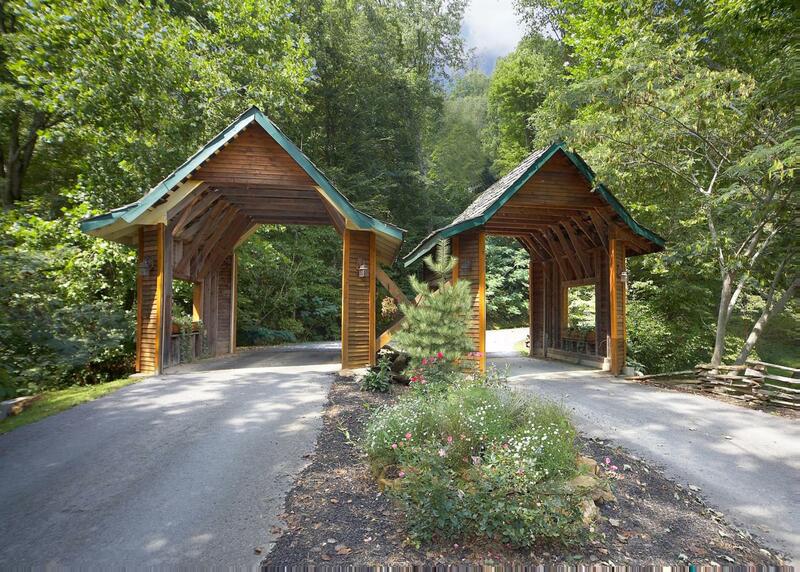 Easily accessible and welcoming cabin in a fantastic gated community. Farmhouse style kitchen table ready for your family gatherings. Beautiful wood burning stone fireplace. Spacious game room with pool table. Game room conveniently located on the main level. Full bathroom with walk in shower. Comfortable Queen bed with private Jacuzzi tub. Open loft area leading to the upper bedrooms. Cozy upper level Queen bedroom. One of two shared hall bathrooms upstairs. Outdoor deck with charcoal grill. Great place to relax after a busy day! Inviting cabin in the woods. 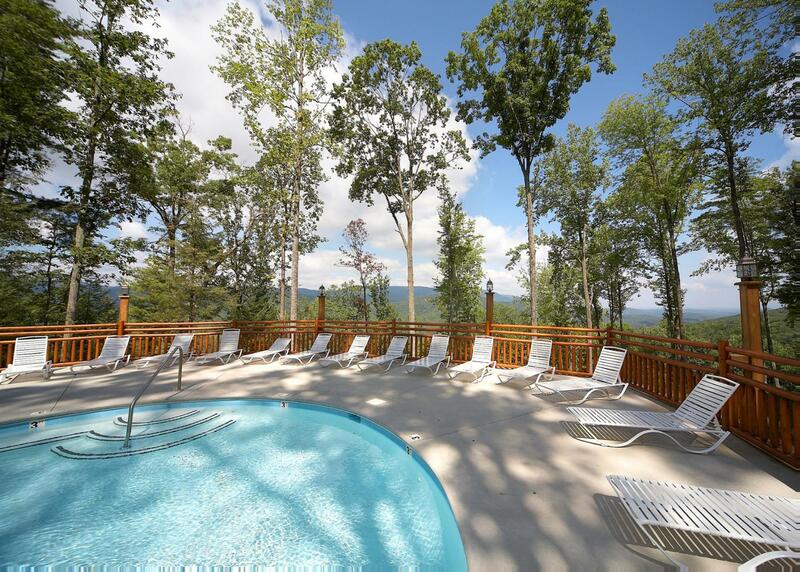 Community pool with a mountain view! 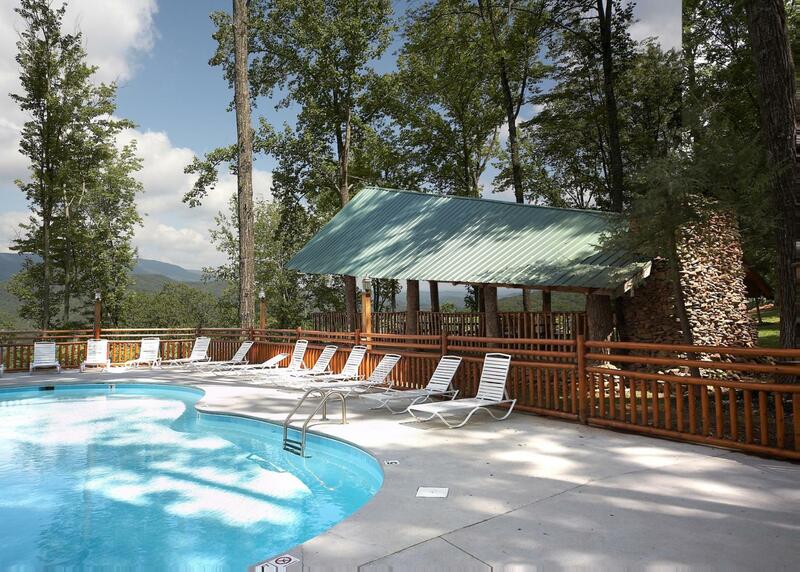 A Rustic Elegance is a gorgeous four-bedroom, three-bath log cabin, secluded in the quiet pine trees of the mountains. Comfortably sleeping ten, all four bedrooms feature queen-sized beds and personal televisions. The first bedroom is on the main level, and contains a jetted-tub, and access to a private bath. The additional three bedrooms are found upstairs, at the end of the wide, spiral staircase, with access to two, full bathrooms. The kitchen is fully-equipped with both large and small appliances, and offers enough seating for eight at the dining table. A wood-burning fire place, and plenty of cozy seating is featured in the living room, as well as a 50inch flat-screen HDTV with surround sound. Down the hall from the living room, guests can enjoy a game of pool on the billiards table, or a round of poker on the cards table. A Rustic Elegance is complete with a spacious deck to enjoy the great outdoors, where guests can use the large charcoal grill, enjoy outdoor dining at the ten-seat table, relax in one of the many rocking chairs, or soak in the hot tub. We apologize, but A Rustic Elegance does not accommodate pets and does not have Wi-Fi. A Rustic Elegance #4 is rated 4.0 out of 5 by 6. Rated 5 out of 5 by clapyc777 from Amazing Expereice This cabin was amazing. Even better than the pictures. Every room was very nice and clean. We had a great experience disconnected without internet really enjoying our time together as a family. Views are mazing. Beautiful area with so much to do. Restaurants in town are great. We are planning to come back soon. Rated 3 out of 5 by Kgip from Cabin 4: Rustic Elegance I came here with a group of friends. The cabin, hot tub, and scenery was nice. I liked that the cabins were not right on top of each other. However I do have some critiques. First there was no phone service or internet at the cabin, which made communication with other couples very difficult. It did have a phone, but no long distance. Also, it was about a 20 minute drive from Pigeon Forge. Lastly, this cabin is labeled as handicap accessible. While there was wide doorways and bath and bedroom on first floor, it did not have hand rails in the shower and it was very difficult for our friend to maneuver between the game and living area to the bedroom. Table was too close to the counter, so anytime he needed to leave the room anyone at the table had to get up, push their chairs in, and move out of the way. Overall nice, but some improvements would be helpful. Rated 3 out of 5 by Anonymous from Relaxing The house was clean and comfortable. Some negatives, we knew there would be no internet service, but disappointed based on the location of this cabin there was no phone service either. Also it would have been nice to have a place to hang clothes on a hanger instead of two hooks. Appliances could use some updating. 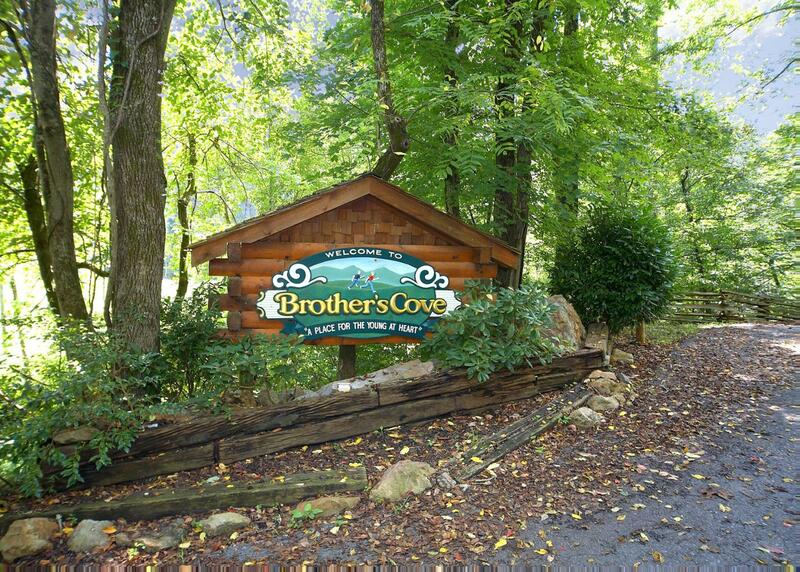 Rated 5 out of 5 by Sherri01 from Great Features My family and I stayed in this cabin in August and we loved it... We had a really good time. We definitely plan on coming back again. Rated 5 out of 5 by Mmurray from Great time!! Visited home in July! Had wonderful time with family! Plenty of room for everyone, children especially liked the pool! Rated 3 out of 5 by jojotennis from Good location Great location for a wedding!